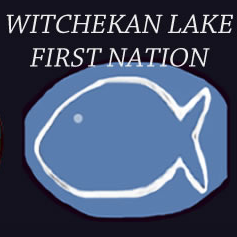 Witchekan Lake First Nation originated in 1910. The story of how the band received its name has been passed down from generation to generation. In early years, long before the arrival of white settlers, a central lake in the region was desiccated causing the fish to perish. The Cree word for the foul odor produced by the fish is 'Witchekan'. The place where the first settlers resided continues to be preserved as traditional grounds. The Witchekan Lake First Nation band joined Treaty #6 in 1950.